Canada-born Dutch U21 international Jonathan de Guzmán, a product from the Feyenoord youth academy, has signed a 3-year contract abroad at the end of July 2010. He moved to Spanish side Real Mallorca. De Guzman played a good 2010-11 season. Just before the closing of the summer transfer window, he changed Mallorca for Villarreal. The Champions league participant signed the striker on a 5-year contract until 2016. 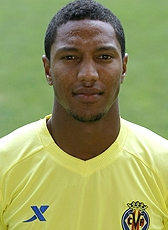 For the 2012-13 season, De Guzman was loaned to Swansea City that was coached by his former Mallorca coach Laudrup. He played a good season that resulted in a call-up for the Dutch senior squad of Louis van Gaal. The Welsh club wanted to sign De Guzman on a permanent deal, but could not afford the fee of 9M€ his Spanish club wanted. However another season on loan was an option and he played in the Premier League until June 2014 . In August 2014, he moved to Italy to sign a 4-year contract at Napoli. His transfer fee was around the 7,5ME. On 28 January 2016, De Guzmán joined Carpi on loan until 30 June 2016. De Guzman returned to Napoli at the end of the season, but was loaned out again in the 2016-2017 season when he signed a one-year loan deal at Chievo Verona. At Chievo Verona he picked the number 1 jersey. In July 2017 he has left Napoli. On a free transfer he moved to Germany to sign for Eintracht Frankfurt outfit on a 3-year contract. His older brother Julian who also played in Spain is a Canadian international.